When I was young, I was not materialistic – at least not by my own society’s standards. Every time I moved, I divested myself of possessions so that I could mail what I owned to myself. Several factors protected me from accumulating belongings. I liked working at summer camps for minimum wage more than I enjoyed laying sod for twice the pay. I did not own a car, so I could buy only what I could carry on the bus or on my bike. I was a dedicated student. I did not have time to go shopping. I disliked shopping. To this day, when I walk into a clothing store, I feel the clerks staring at me the way they did at Julia Roberts’ character in “Pretty Woman” when she tried shopping on Rodeo Drive. You have to wear fashionable clothes to shop for fashionable clothes. I love the way that Diane Keaton dressed out of her father’s closet in “Annie Hall,” and my wardrobe still reflects her fashion statement. In the wake of our inspiring guest speakers, Bill McKibben and Shane Claiborne, I have listened to many discussions about simplicity as a way of life. I thought that it would be appropriate to share the rock that caused me to stumble and leave a larger carbon footprint. Before my son was born, we scoured yard sales to buy the equipment we needed. We received garbage bags full of secondhand baby clothes. All was well until I started noticing the superior strollers and baby seats and cozy Baby Gap clothes protecting other babies. I became self-conscious. Looking at my son now, you would never guess that the desire to drive him around in a presentable vehicle, to house him in a home that I owned rather than rented and to provide him with “nifty stuff” could be the factor that tipped the balance from my being one who divests to one who consumes. Beware! The pressure to conform and compromise is most powerful when it plays into one’s desire to take care of one’s own. If one reads the gospel of Matthew thoroughly, one will find that Jesus’ call to discipleship comes with a caveat not to let concern for one’s family become a stumbling block. 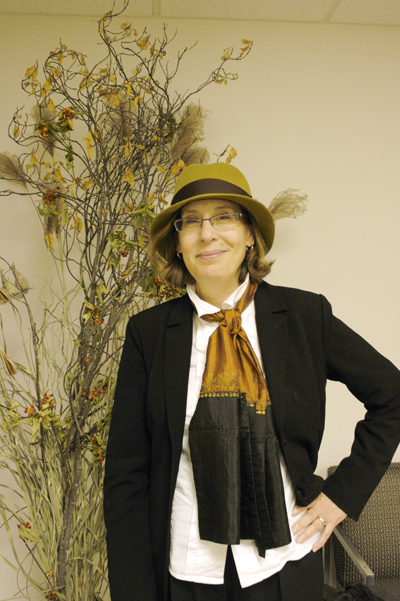 Jo-Ann Brant is professor of Bible, religion and philosophy at Goshen College.